A new payments app is about to enter the Cambodian market and it raised over $2 million before its scheduled launch. Clik is poised to launch a new payment gateway and aggregator and many are said to be excited about the event. The only downside about the report, according to fintech observers in Phnom Penh, is the fact that there is no mention of overseas transfer rates or that users can transfer money internationally through the app. The good news is, the app will make transferring payments between consumers and businesses more seamless. According to the fintech, Clik users can use the app to pay for goods and all they need to do is to input their credit cards or e-wallets into the app. “Our app will be very easy to use, much easier than a payment terminal with 25 buttons on it”, explained Clik CEO and founder Matthew Tippetts while talking to Southeast Asia Globe. “The consumer will have a wide array of payment capabilities in one place – simple, seamless and safe to use”, he added. The company notes that the app is a useful addition to the set of tools that businesses have. Tippetts said that merchants can use the app to grow their business. Clik is described by Tippetts as: “a new data company” driven by analytics. Its main purpose is to “enable offline businesses to have the same data as online businesses so that they can grow”. According to Clik executives, the app will be aggregating user transactions and will provide merchant partners with basic data analytics. The latter will provide businesses with better insights on marketing techniques. Merchants will have the capability to offer a better and a more personalised experience to their target market as well. The app attracted the attention of Limestone Technology, an international business headed by SeedIn’s founder Eddie Lee. It also caught the attention of Openway, a software vendor. Investments from these companies, along with money put in by a number of Cambodia’s angel investors, made it possible for Clik to raise over $2 million. The capital was raised long before the business’ scheduled launch. The company is reportedly planning to raise another million by early 2019. Clik is primarily a data analytics app, but Tippetts made it clear that the company respects the privacy of its would-be clients. He noted that companies like Clik “need to be ethical” when collecting data, adding that he will make sure that the app is compliant with all of the data collection laws in Cambodia. Find out more about the payment and remittance industry here. As startups and investors gather in the most innovative country in the world, a financial newcomer wants to become a unicorn by providing faster and cheaper ways of processing credit card transactions. There’s just one catch: it needs to persuade security-conscious clients to let their financial data be handled by a cloud service managed by an American retail giant. “Our biggest challenge is the customer mindset,” said Monika Liikamaa, the 43-year-old chairman of Enfuce Financial Services Oy, a Finnish payment services provider based just a 20-minute drive from the headquarters of Nokia. On Tuesday, she’ll be speaking at a popular startup meetup in Helsinki called Slush, which is expected to attract a crowd of more than 20,000 entrepreneurs, investors and nerds. Banks are generally reluctant to let industry entrants run their infrastructure, and few fintechs dare try. Enfuce, which was founded by local industry veterans, bucks the trend. In its first full year in business, in 2017, it made 3.3 million euros ($3.7 million) in sales, generating a profit of just under 300,000 euros. One of its first major clients was Finnish gas station chain ST1, which wanted a fully fledged credit card system, including support for Apple Pay. Enfuce is now targeting global sales of 600 million euros and a valuation exceeding $1 billion by 2025. Its basic business idea is to run a credit card system without owning expensive computer servers, which can quickly become obsolete. Instead, transactions and card data are hosted in commercially available servers owned by Amazon Web Services and located inside the European Union. That allows the system to instantly and easily adapt to demand spikes, such as on payday, while keeping costs in check. The data is backed up every second, so when things go wrong, the customers’ cards stop working for just that second -- meaning most would never notice an outage. The services are secure and fully compliant with regulatory requirements, Liikamaa said. The company acknowledges it faces a tough job convincing potential customers that third-party servers can be as safe as computers owned by the banks. Still, Enfuce has found that while banks are often intrigued, their compliance departments tend to put on the brakes. “To some extent, the fear of cyber crime may be an issue” when it comes to the acceptance of new technologies, said Nina Rudanko, co-founder of industry organization Fintech Finland. Liikamaa insists that some form of outsourcing makes sense. Banks are so busy turning themselves into IT companies these days that they haven’t stopped to properly think about whether that infrastructure could be provided more cost-effectively and quickly by someone else, she said. Enfuce’s wishes may soon be granted. Although traditional banks tend to be “monolithic,” as Aleksi Grym, an adviser on digitization at the Bank of Finland, put it, the biggest lender in the Nordic region welcomes competition in the banking infrastructure space. Enfuce is a Finland based forerunner in cloud-based financial services, with focus on the future of payment solutions and a global mindset. OpenWay is proud to have Enfuce Financial Services as a partner! I believe in reflecting on achievements, to be able to set new and greater goals for Enfuce. Therefore, I will end this year by reflecting on our achievements during 2018. Our mission for the year was to prepare the company for future growth. To enable that growth, we decided on a few objectives to guide us and to push us further. 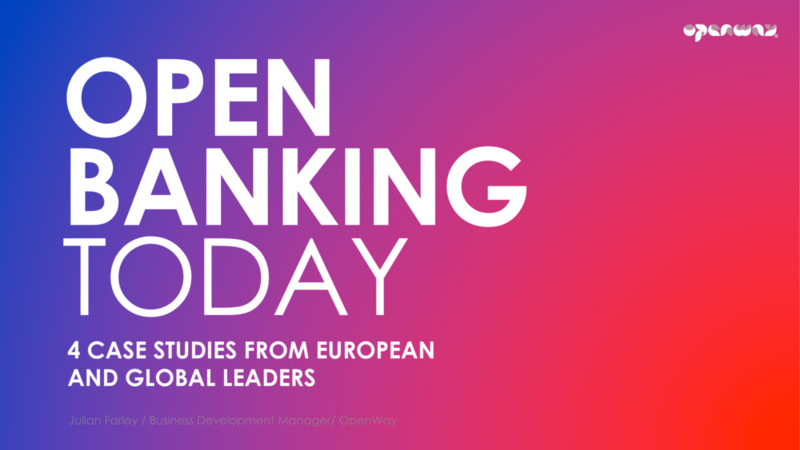 Explore the idea of an Open Banking platform further, for a more comprehensive offering for the payment industry. Brand awareness – who are we and what do we do? In the beginning of 2018 as we were focusing our ambitions to go beyond the Nordic countries, we also saw the need to prepare our own digital payment platform. This work has taken most of our time and efforts this year, but it has all been worth it! Today we are proud to say that we have partnered up with OpenWay, who will enable a global growth for us with their Way4 solution. The two most important things in running a Digital Payment Platform are hygiene factors such as high availability and PCI DSS compliance. When we go beyond hygiene, then it’s all about supporting customers in the rapid pace of change in the financial services industry – a change that is mostly due to the digital disruption we are facing. Today, we have both hygiene and business advantage in place to support both existing and future customers of ours. Something I feel very proud and confident in! Cambodian payment startup Clik has announced the closing of a $2-million seed funding round led by global tech firms Limestone Technology and OpenWay and joined by several angel investors from Cambodia’s retail sector. In an official release, the startup said it is considering raising an additional $1 million to further complement its latest funding round. Founded in 2016 by serial entrepreneurs, Matthew Tippetts, Skye Cornell and Darren Jensen, Clik is a payment gateway and aggregator that aims to provide a safe, seamless and simple payment experience. Through utilisation of the latest technology, including mPOS, machine learning, and biometrics, Clik’s payment aggregator app facilitates swift payments using their own e-wallet or other platforms. The company says it will be officially launching its platform in Cambodia in Q2 of 2019 upon receiving its Payment Service Provider license from the National Bank of Cambodia. By targeting the Cambodian market, Clik will be looking to leverage on internet economy boasting over 7 million internet users and 8.4 million smartphones, which is also seeing a growing electronic payment industry. According to Clik Co-Founder and Chief Technology Officer Darren Jensen, the proceeds from the seed funding round, which is nearly complete, has been used to drive product development for the beta version and commercial release preparations. Clik’s funding comes in the same week as a mega-deal announced by Grab, which has paved the way for it to become the first company to launch e-money licensed payments services across six major ASEAN countries. Grab announced yesterday that it raised a $50 million strategic investment from Thailand-based KASIKORNBANK (KBank), which at the same time, marks the entry of its payment arm into the Thai market, having already established operations in Singapore, Malaysia, Indonesia, Vietnam, the Philippines. 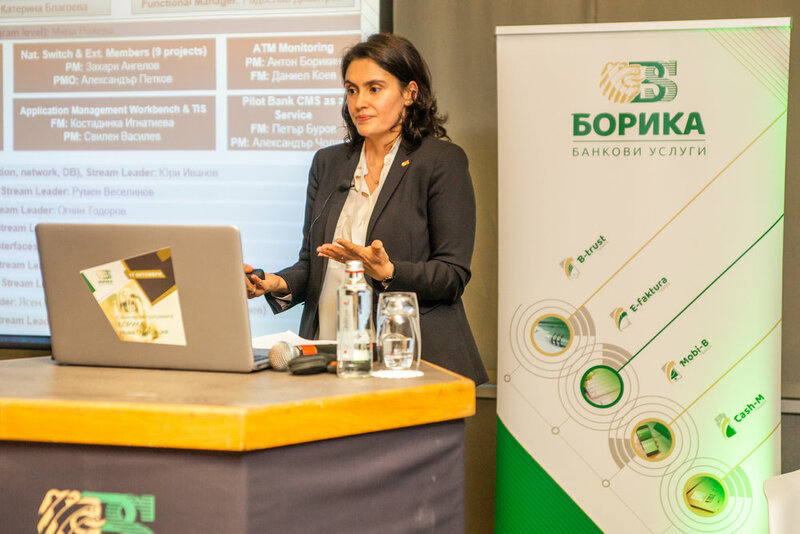 Today Eurasian Bank, Mastercard and OpenWay presented Eurasian Pay digital wallet to the market: now the Bank clients, Mastercard cardholders will be able to make one-touch payment for purchases with a smartphone to the terminal. Transactions made with Eurasian Pay are protected by Mastercard advanced security developments. You can connect to the service without visiting the Bank, it is enough to have a smartphone based on Android 4.4 and higher, supporting NFC technology, and download the Eurasian Pay mobile application on Google Play. For the convenience of customers, the Bank provides the opportunity to choose two methods for confirming each payment - in the “background” mode, using the fingerprint recognition system or entering the password. Customers of other banks can also use the service by ordering a MasterCard card with home delivery in the Smartbank mobile application. “Technology makes our life easier. We hope that Eurasian Bank customers will appreciate convenience of the new service, whose advantage lays in its simplicity. The digital wallet will allow them to make purchases in one-touch at more than 50 million trading platforms in 111 countries, while they will not need to carry a bankcard to pay. This is a new stage for our customers who are accustomed to non-cash payments, for which they receive increased bonuses, now, instead of plastic, they can switch to payments by their phone. Today, 87% of our Internet banking customers use Android-based phones. We are sure that they will appreciate the new service on its merits”, said Pavel Loginov, CEO of Eurasian Bank. Mastercard was the first to introduce the tokenization service in Kazakhstan, and now banks of the Republic will be able to provide their customers with modern payment solutions for contactless payment by smartphones and other devices. “Mastercard is a technology company. We develop solutions for non-cash payments and for many years have been creating innovations for mobile commerce. We are pleased that with the Mastercard tokenization platform the most modern achievements of the global payment industry are available in Kazakhstan now. Together with partners we offer convenient and safe non-cash payment tools that meet the user expectations and will promote the development of the digital ecosystem to achieve sustainable economic growth, improve the competitiveness of the economy and enhance the living standard in the country”, noted Geniyat Isin, Head of Mastercard in Kazakhstan. The Mastercard Digital Enablement Service (MDES) tokenization platform allows integrating a high level of protection in mobile payment services. The bankcard data is safe due to the latest developments in payment technologies - EMV, tokenization and cryptography. When using the Mastercard card in the Eurasian Pay wallet, its number is not stored either on the mobile device, on the Bank servers, or at the merchant enterprises. Instead, at connection of the Mastercard card to the wallet, a unique token - a 16-digit combination of numbers tied to the wallet on a specific smartphone is generated. This token is used for payment. Each transaction made with the help of a token credit or debit Mastercard card, is reliably protected both for buyers and for outlets. For several years, Mastercard has been closely cooperating with technology partners and financial institutions, introducing the payment tokenization service. For the first time, the MDES platform was introduced in 2013 in the US, and since that time, millions of Mastercard cards have been processed as part of the tokenization service for use in popular electronic wallets. Mastercard – a technology company operating in the global payment industry. We manage the world’s fastest payment processing network, which connects consumers, financial institutions, trade companies, government and business structures in more than 210 countries and territories. Mastercard products and solutions allow you to more easily, safely and efficiently solve everyday problems, for example, to make purchases, travel, conduct business and manage finances. Eurasian Bank is one of the socially important commercial banks of Kazakhstan with a 24-year history of development. The financial institution occupies a leading position in the retail banking business and provides a wide range of services to corporate and SME clients. In September 2017, the Board of Directors adopted the development strategy of the financial institution until 2022, with a focus on retail business development. Sathapana Bank in Cambodia announced their new Cash Recycling ATM machines. The bank invited OpenWay representatives to the ribbon cutting event. Phnom Penh, Cambodia, 08 May 2018 – Our customer Sathapana Bank in Cambodia has publicly announced their new Cash Recycling ATM machines. It's a milestone for Sathapana who has chosen WAY4 to renovate its banking services. The bank invited OpenWay representatives to the ribbon cutting event. Sathapana Bank would roll out new cash recycling ATMs in branches and off- sites countrywide to bring a new level of express banking services to the customers. The bank will introduce 50 new cash recycling ATMs across the country increasing the total number of Sathapana’s ATMs to 150 so far this year. “Sathapana is making investment in latest technologies, such as cash recycling ATMs, to provide our customers with fast, secure and convenient banking services and experiences across the country,” said Mr. Norihiko Kato, Chief Executive Officer of Sathapana Bank. Mr. Kato added, “With the new ATM, customers can deposit cash into their account anytime including before and after business hours, weekends, and holidays. The new machine can accept the largest number of cash notes to deposit with precise sensing technology. “This is the first time that we introduce our product in Cambodia. We are honored to partner with Sathapana Bank to provide our cash recycling ATM machines and services in the Cambodian market,” said Mr. Kokichi Murayama, Executive Operating Officer and General Manager Global Business Group of Hitachi-Omron Terminal Solutions, Corp. The launch of the new cash recycling machines is one of Sathapana Bank’s initiatives to bring in the latest banking technologies to the market in order to provide customers with secure and convenient banking services. Sathapana Bank is one of the leading commercial banks in Cambodia with total assets of over US$ 1 Billion. The bank has the second-largest branch network in the country with 168 branches and more than 4,000 employees. The bank provides full banking products and services such as loans, deposits, domestic and foreign remittances, guarantees, and export and import settlement, among others. OpenWay and Nets Monetise PSD2: Download White Paper!